Join us for an artist-led tour of Kristin Lucas’ Dance with flARmingos Augmented Reality sculpture park, now on view as part of Queens International 2016. 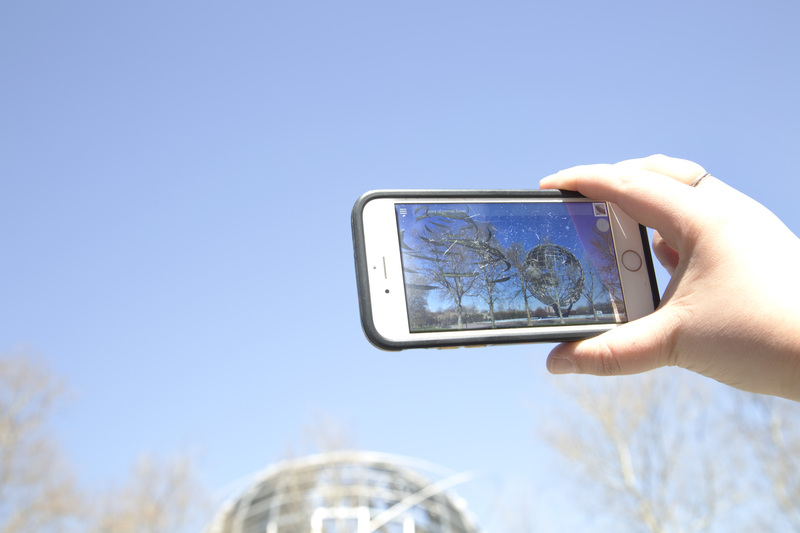 For Dance with flARmingos, Lucas has collaborated with 21 national and international artists to create 3D augmented reality (AR) works that are geolocated or virtually positioned to different locations in the Queens Museum and outside in Flushing Meadows Corona Park. Drawing parallels between the phantom presence of augmented reality and equally intangible notions of “the future”—given the rapid progression of global technological and environmental change—Lucas prompted each artist to create a virtual work imagining the future of Land Art and land use. By using digital tools to envision physically improbable scenarios, the artists have produced haunting new realities that provoke broader conversations about culture, social issues, and the environment. Visitors can access the virtual sculptures via Layar, a free Augmented Reality camera app that can be downloaded onto any smartphone. Once the app is downloaded, the printed map can be used to locate the works.